Oscar Isaac is currently back in North America to do press for Operation Finale, taking a little break from filming Star Wars 9 in England. While sitting in multiple interviews, Isaac is obviously asked about the upcoming Star Wars film, and while he can't say much, he did recently offer some insight into the current state of the Resistance after their battle with the First Order in The Last Jedi. The Resistance appears to be in a familiar place for Leia Organa, according to Isaac. Before the Resistance and the First Order, it was the Rebels vs. the Empire, with the Rebels hiding out on different planets and secret bases, attacking the Empire when they could. Now, the Resistance is here to fight the First Order, using many of the same tactics, but with far less people and less organization. 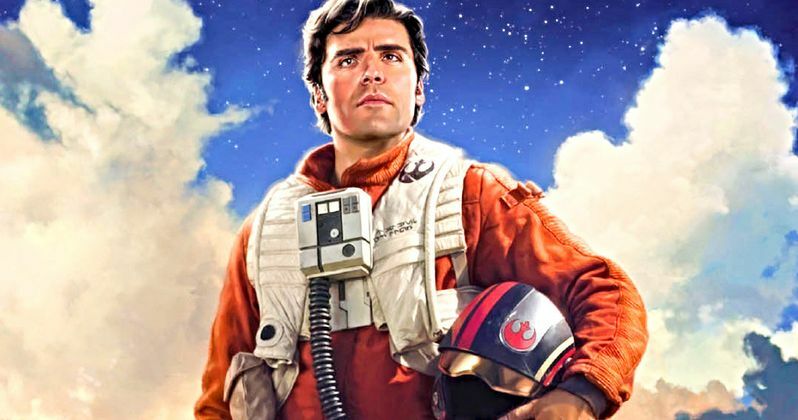 In describing the current state of the Resistance in Star Wars 9, Oscar Isaac reached back into world history to give an example. Isaac explains. "(They) are guerrilla fighters, adhering closer to something like the Revolutionary War fighters or even the guerrillas in Cuba with Che and Fidel and all these guys living in the mountains, coming down to do some attacks, and going back and trying to hide from the 'empire' of the United States. It's that kind of ragged at this point." The guerilla aspect of the Star Wars universe has been there since the start, over 40 years ago. It's cool to see the Resistance have to get back to square one in order to stand up to the First Order, which has many more resources. While the First Order may have all the resources, they also have what looks to be fractured leadership now that Supreme Leader Snoke is out of the picture. Kylo Ren and General Hux will be battling for the throne by the looks of the conclusion of The Last Jedi, which could give the Resistance the opening they need to get in and dismantle the enemy. Oscar Isaac also briefly talked about the absence of Carrie Fisher on the set of Star Wars 9. The actor reveals that it always "feels like" she's still around and states that the late actress is "still with us." Lucasfilm and J.J. Abrams will be utilizing footage of Fisher that was not used in The Force Awakens and The Last Jedi to piece together a performance. It isn't clear just how much she'll be in the movie, but she will have a presence that is from her, and not another actress or a completely CGI character. J.J. Abrams and Lucasfilm have the Star Wars 9 set on lockdown, so there's no real information about the plot yet, but there has been a bunch of new casting additions over the last few weeks, leaving many to wonder how Abrams is going to be able to take a cast that was already large to begin with and introduce new characters at the same time. Just from the casting alone, it looks like we may receive the longest movie in the Star Wars franchise yet. The interview with Oscar Isaac was conducted by USA Today.